For almost 100 years, the Armistead family has been providing mechanical construction and contracting services to industrial and commercial clients throughout the New York/New Jersey area. 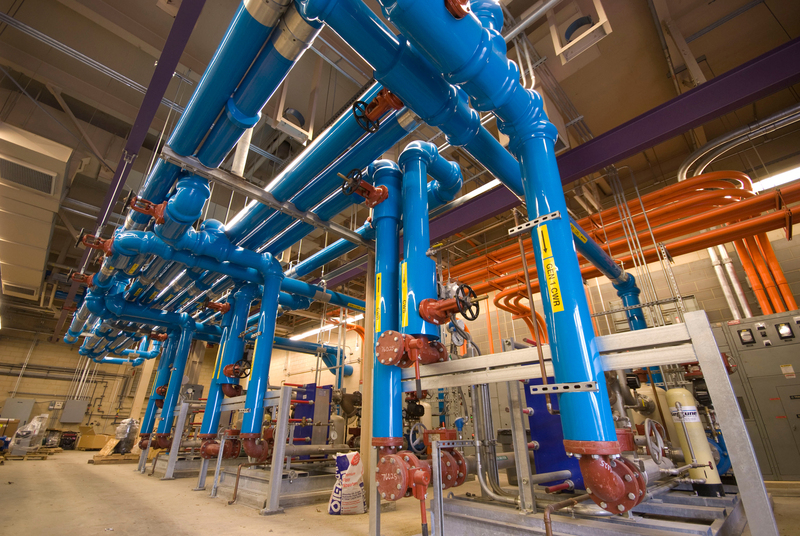 Our expertise lies in industrial and process piping, fabrication and installation, high purity orbital welding, plumbing, HVAC design and installation, temperature controls, innovative services (such as VDC, 3D Coordination, as well as Prefabrication) and preventative maintenance services. View our pipe fabrication video to learn more! Armistead is a full-service mechanical contractor serving the New York/New Jersey area. Our engineering design and project management teams have extensive experience in every phase of mechanical construction and contracting. With exceptional training and skill in the installation of process piping and mechanical systems, our staff specializes in plumbing, HVAC (heating, ventilating, air conditioning), process piping and high purity orbital welding. Our professionally-trained estimating and project management teams are capable of meeting any project challenge and are fully committed to completing projects on-time and within budget. Armistead’s preconstruction services include estimating, pre-planning, design, procurement and quality assurance/quality control. Our talented staff is adept at providing on-site supervision and coordinating with all relevant field and third-party personnel to ensure each project is on-schedule and in accordance with all necessary safety and code regulations. Our services include installation, completion and commissioning, operational maintenance and quality assurance/quality control. Armistead offers its customers numerous innovative services, including VDC and 3D coordination, critical path scheduling, real-time accounting and cost control, computerized orbital welding and prefabrication. Armistead Mechanical, Inc. Services provides complementary service and maintenance work for industrial and commercial clients throughout New York and New Jersey. Our staff is trained to work on a wide variety of systems and equipment including chillers, packaged roof-top units, furnaces, boilers, refrigeration systems, split systems, cooling towers, and building automation and controls. As a mechanical contractor with almost 100 years of experience, we understand the technical challenges facing many companies and are adept at identifying the most suitable strategies and operating systems for each application to ensure the success of each project. Within each industry sector, we also know the specific regulations and practices that must be followed to guarantee the highest quality work is performed. This includes industrial and process piping, high purity orbital welding, design-build, plumbing and HVAC contracting. Mechanical system design and operation have enormous impact on the overall performance of a building. Consumer manufacturing operates based on lean principles to decrease downtime and production costs while increasing machine capacity. The need for faster and more flexible production of food and beverages is intensifying, as is the concern for food safety. Healthcare facilities have special requirements to control temperature, air quality and air circulation. Assuring mechanical integrity in industrial settings, especially refineries, is essential to minimize downtime, reduce energy use and boost productivity. In manufacturing settings, mechanical components are used to transfer energy and produce motion to carry out useful work. The delicate balance of temperatures in relation to movement of product through systems requires stringent monitoring and specialized piping. It is important that mechanical systems for water and wastewater applications be long-lasting, durable and corrosion resistant.